The Astronaut Snoopy tee is a black, 100% cotton tee. 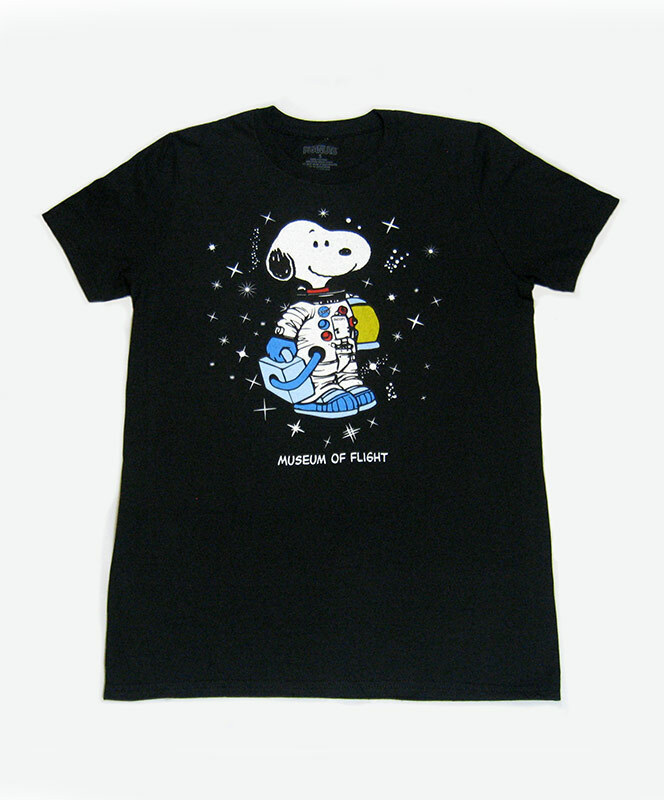 The shirt features an image of Snoopy dressed as an astronaut against a background of stars with Museum of Flight at the bottom. The shirt is available in adult SM-3X and may shrink when first washed.